RVI has always been a solutions-led company and is well-positioned at the forefront of industrial progression. The company is therefore continually involved in finding effective solutions to smoke-control problems. A well-designed Smoke and Heat Exhaust Ventilation System – SHEVS – should be able to maintain a smoke-free clear layer of at least 2,5m above the highest occupied space, thus providing escape conditions allowing the building to be safely evacuated with minimum risk of smoke inhalation, injury or death. As a solutions-led company RVI is well-positioned at the forefront of R&D to improve existing products and procedures, continually explore new solutions to smoke control problems and to develop new products and procedures. All RVI smoke and heat exhaust ventilation products are subjected to rigorous testing to comply with the latest South African Building Standards SANS 10400-T specifications. Our natural smoke and heat exhaust ventilation systems are designed to extract smoke from the interior of a building through automatically operable roof-mounted ventilators, in compliance with Part 2 of the EN 12101 code. 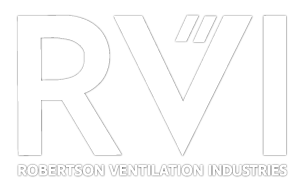 RVI also installs powered smoke and heat exhaust systems to enhance ventilation. These systems not only ensure that fans and cabling comply with the relevant part of the EN 12101 code, but also ensures the company’s research and development objectives are on par with the latest international developments. The success of a powered exhaust system is its ability to pre-empt elevated temperatures and ensure a sufficient fresh air route is in place to allow the extraction of smoke and hot gas, without fanning the fire. In designing an effective smoke control system, smoke containment is a critical and an often overlooked design consideration. Successful smoke containment is often achieved by the introduction of physical barriers, such as smoke curtains. Smoke curtains are generally used to create a smoke reservoir, by containing and limiting the travel distance of smoke. It is important to install a tested and certified product. RVI remains one of the leading manufacturers in the area of smoke containment and is thoroughly skilled in producing static smoke barriers certified to EN 12101 Part 1 specifications. For energy efficient smoke control systems, required for complex buildings such as shopping malls, high rise office buildings and atriums, smoke channeling and direction flow to a predetermined collection position requires the installation of operable smoke curtains, certified to EN 12101 Part 1 standards.